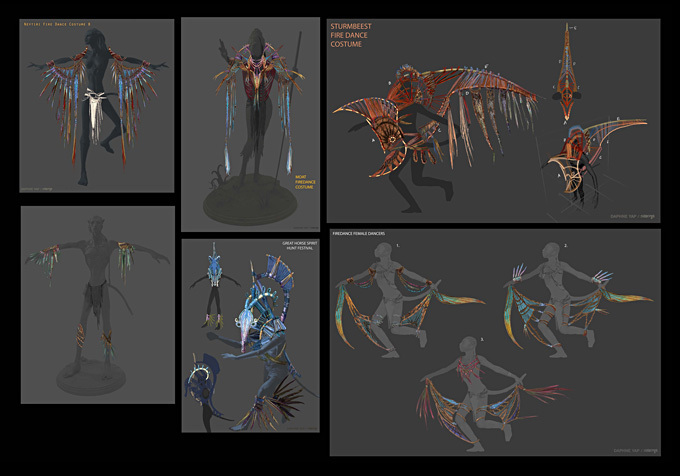 Just found a whole heap of Avatar concept art from designer Dylan Cole on his site: Welcome to Dylan Cole Studio Just go to professional work, then click on avatar. To save the files you need to view them through the cacheviewer of firefox/explorer or another browser because of the flash player on the site. Okay, shall put the pic up here. Wow! That work is incredible! I have seen a few of his pieces, but a lot of that was new to me. I wish I could get some framed prints of a few of those. Thank you for sharing the link. 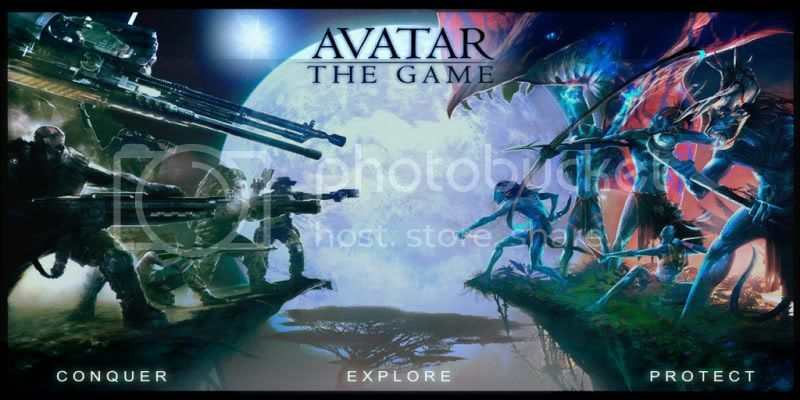 I don't care if Avatar isn't a "war" movie as some have said, that game art is badass as hell. I know right! The weapons and war decorations that the Na'vi are wearing are both interesting and impressive to see. I really like the skull helmet. 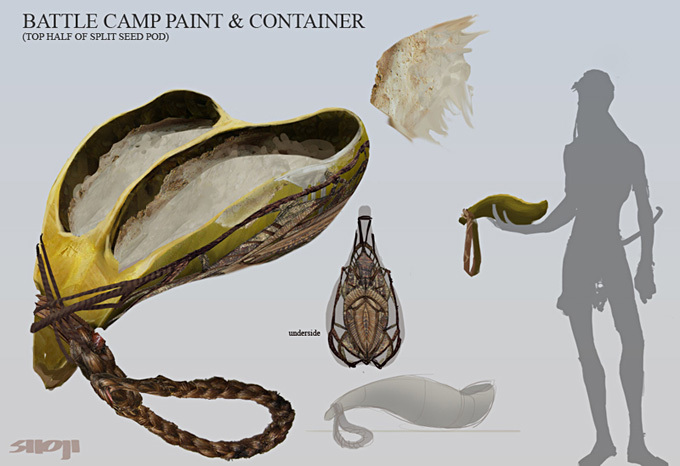 It's annoying that the Avatar art book didn't include more of this stuff. The collection in the book seems very very limited compared to everything that exists. "I shut my eyes in order to see"
The Avatar art book does have a glossy cover and lots of big pieces of artwork. 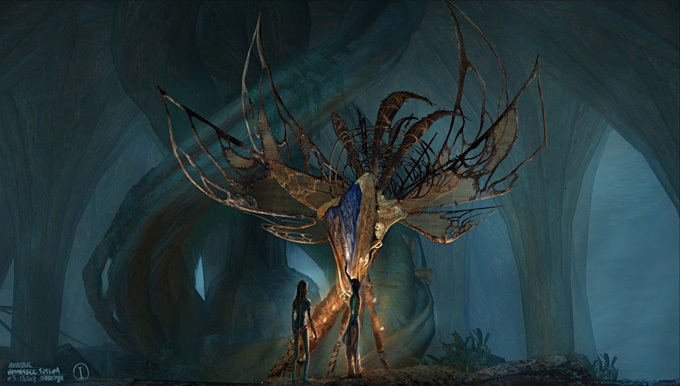 It's a nice reminder of all of the effort that was put into creating Pandora, the new technology, the Na'vi and even the post apocalyptic Earth. People can be too quick to discredit Avatar for having a simpler storyline but ignore the symbolism of events in the storyline and the creation of such a beautiful, living and breathing environment such as Pandora. There just went a good few hours at work.